Paul David Washer is the Founder/Director & Missions Coordinator of HeartCry Missionary Society which supports indigenous missionary work. Go to what is written and do that. There are enough commands in the Scripture, so that if you do them you won't have time to do all this other foolishness. What does it mean to "love the World", or the things of the world? 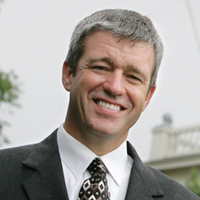 Paul Washer speaks candidly on this subject that is sometimes taken to an extreme. Joy is not the result of obedience, joy is the result of what God has done. So now your joy is fixed on a fixed and stable source. What is it that causes some people to have such extraordinary devotion to Christ? It is because they understand more of who God is. There is a Biblical way to grow in the love of God, and it is not to pull yourself up in your own strength and try to force yourself to love God more. In this video clip Paul Washer talks about the death of Jesus Christ and who Jesus Christ is. Why must Jesus be God in order to pay for our sins? The separation from God that you and I should experience throughout all of eternity was suffered for us by Jesus Christ on the Cross. Jesus is a historical person who made massive claims about himself – we must all answer this question: Who do you say Jesus is? The prayer life of our Lord is that which we should strive to imitate and look at carefully as we study the Scriptures. In 1 Thessalonians 4:13 the apostle Paul tells the brethren, "we do not want you to be uninformed". It would be easier for a camel to pass through the eye of a needle than it would be for someone to pass through to heaven with a shred of self-righteousness upon them.